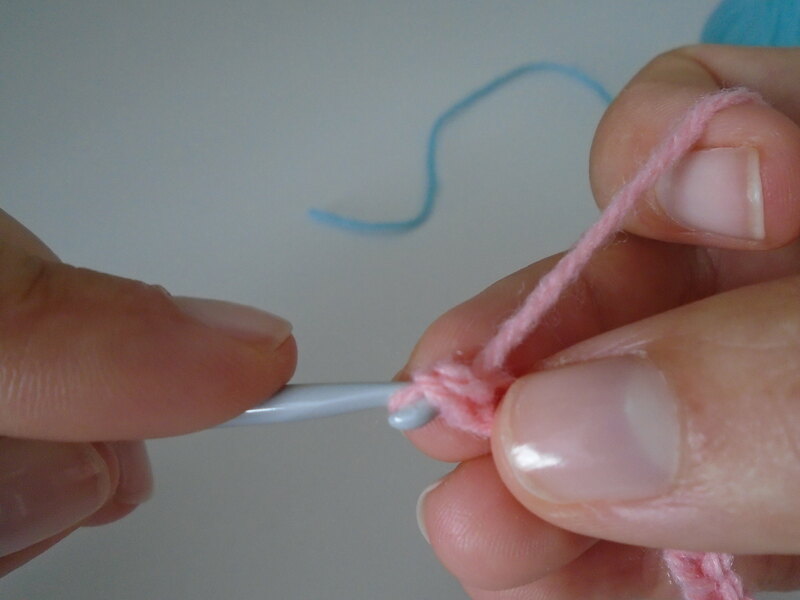 My favourite things to crochet are little friendly birds and creatures and this is called amigurumi – the japanese for cute stitched friends. 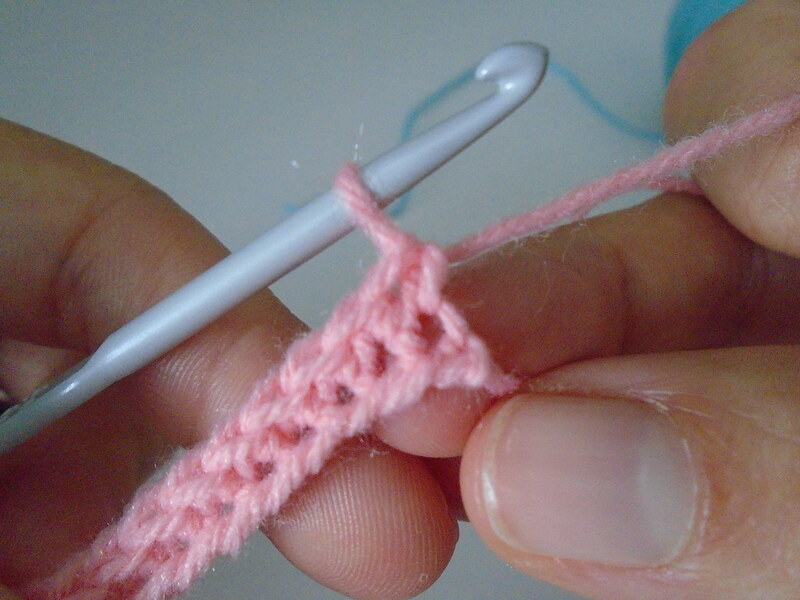 This is a very sweet stitch to know about – like a little pip – so would you like to know how? 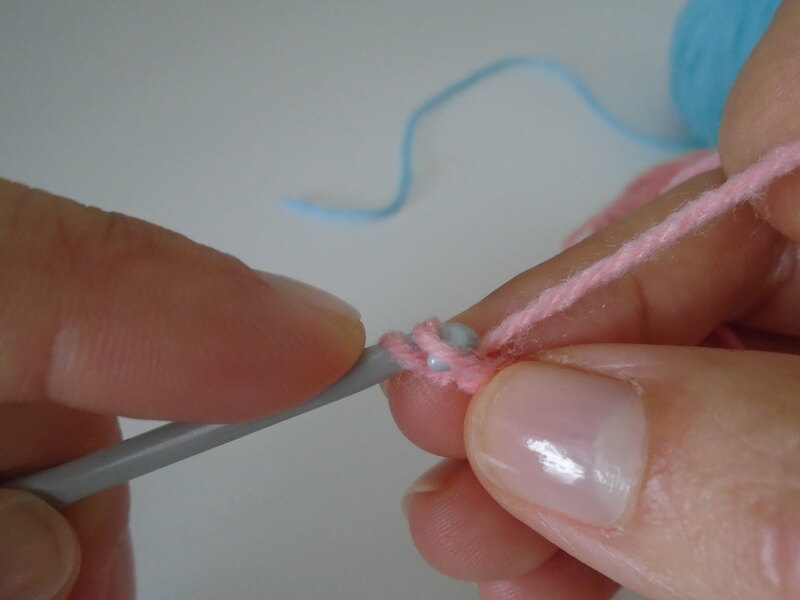 Repeat these steps into each of your chain stitches – insert hook, yarn over, pull through first loop, yarn over, pull through both loops. 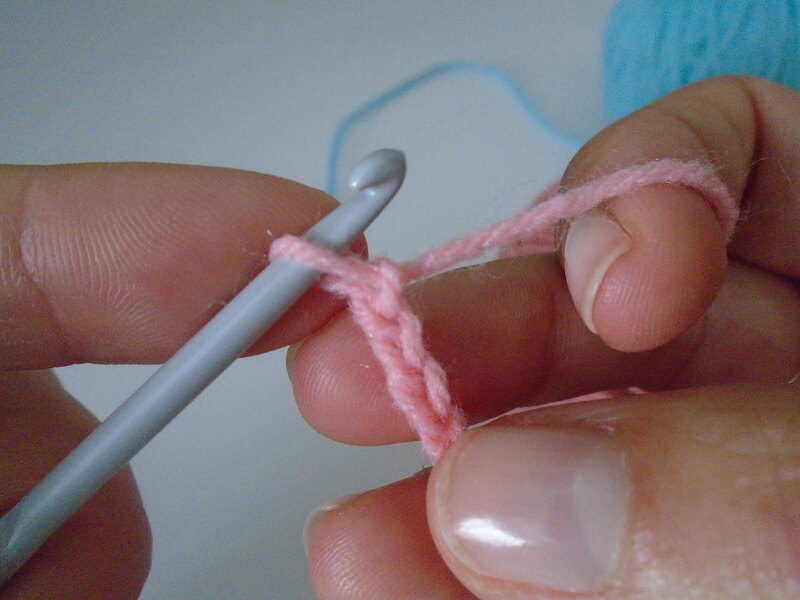 When you get to the end of your row you need to turn to come back again. 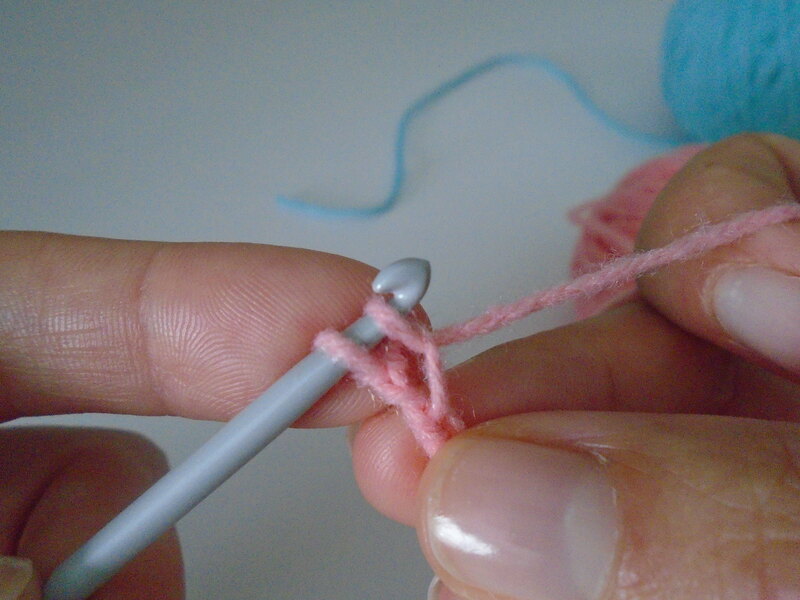 After your last stitch of the row turn your work so that your stitches are now to the right. 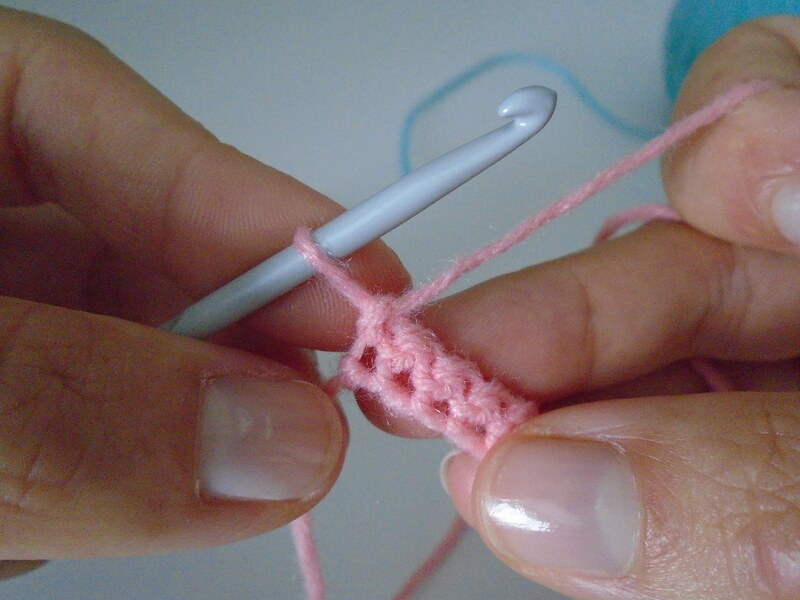 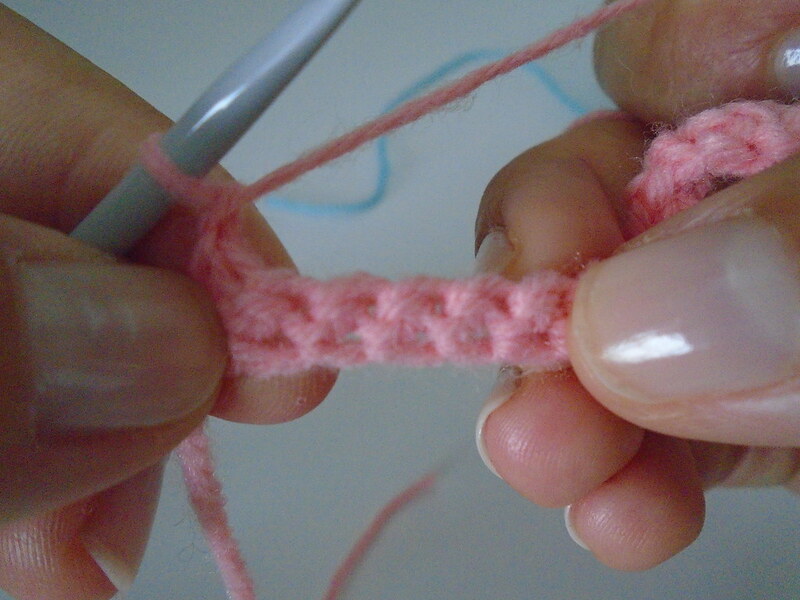 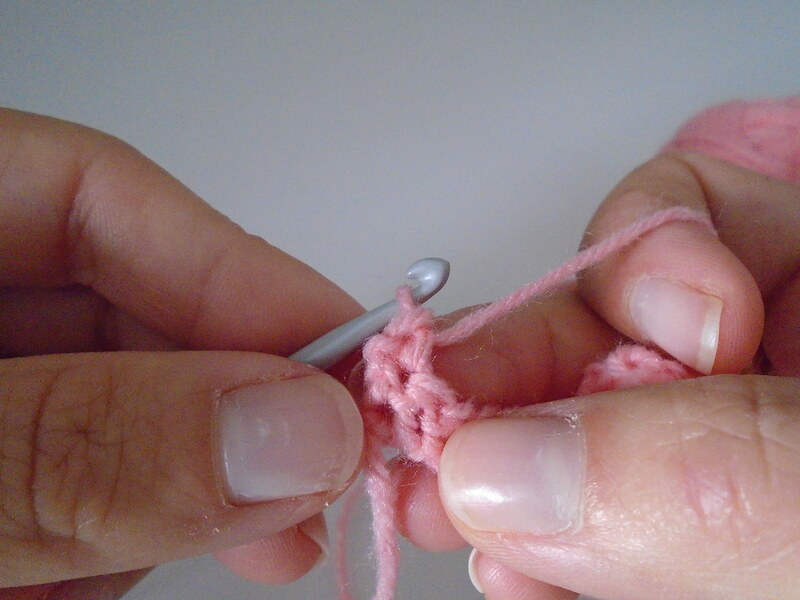 It is nice for left handers crocheting that we get to work left-right – that’s logical. 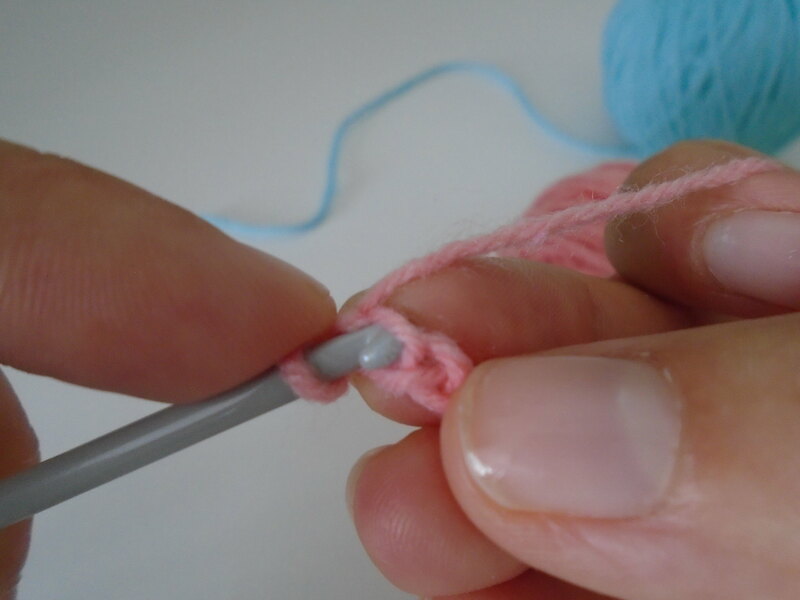 Next you need to make a chain stitch (ch) and then starting from the first stitch in your previous row, continue with your stitches, inserting into the top row of little holes you can see in the picture above. 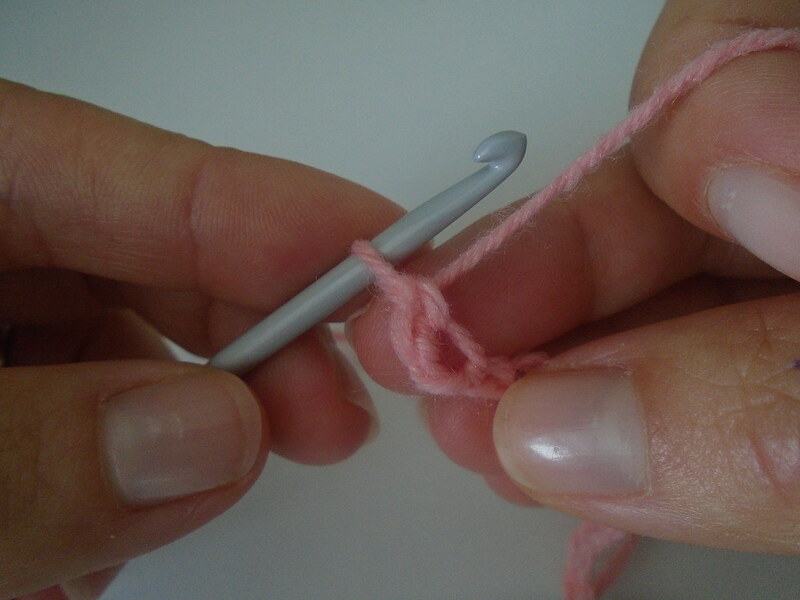 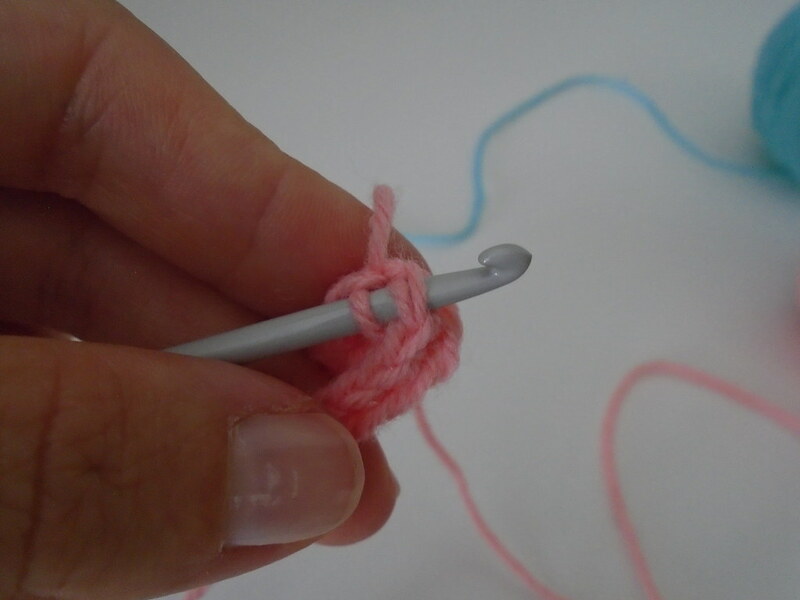 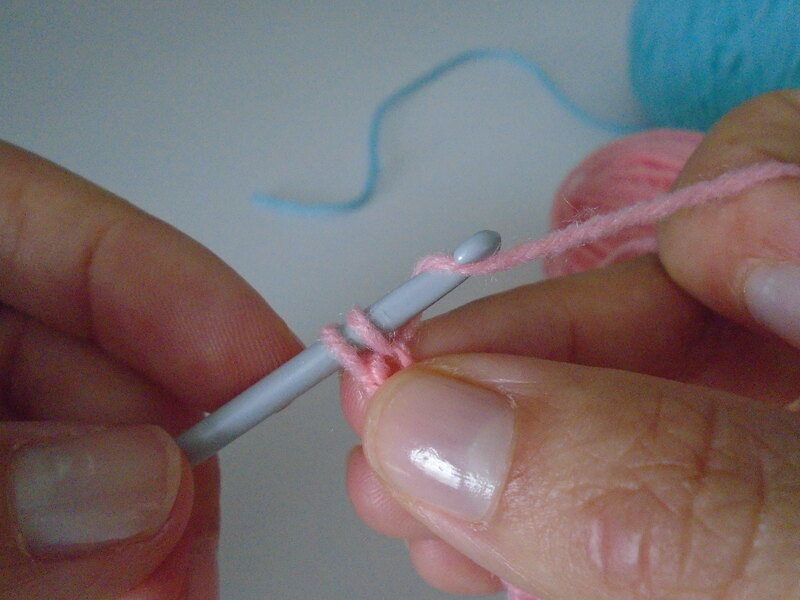 When you inserted your hook into your chain you ended up with a single strand on your hook, but when inserting into a stitch you will have two strands. 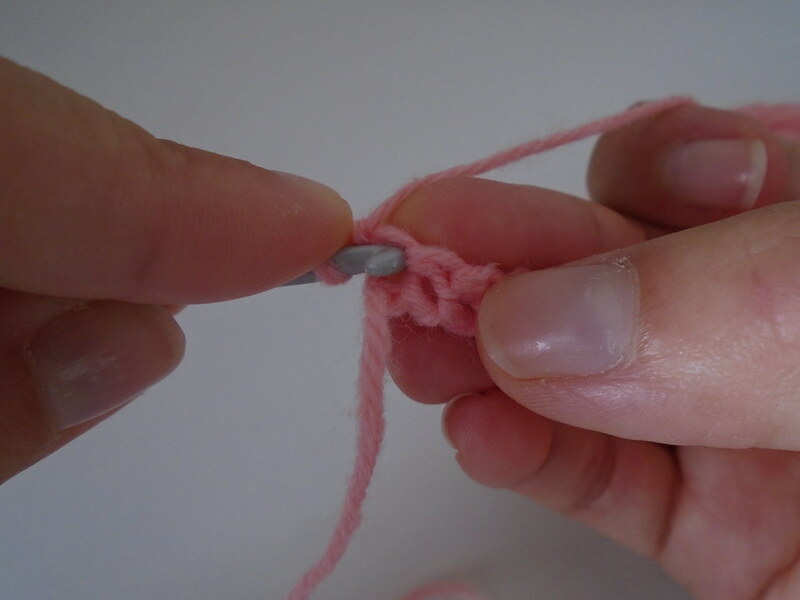 They should just be treated as one when you pull through though. 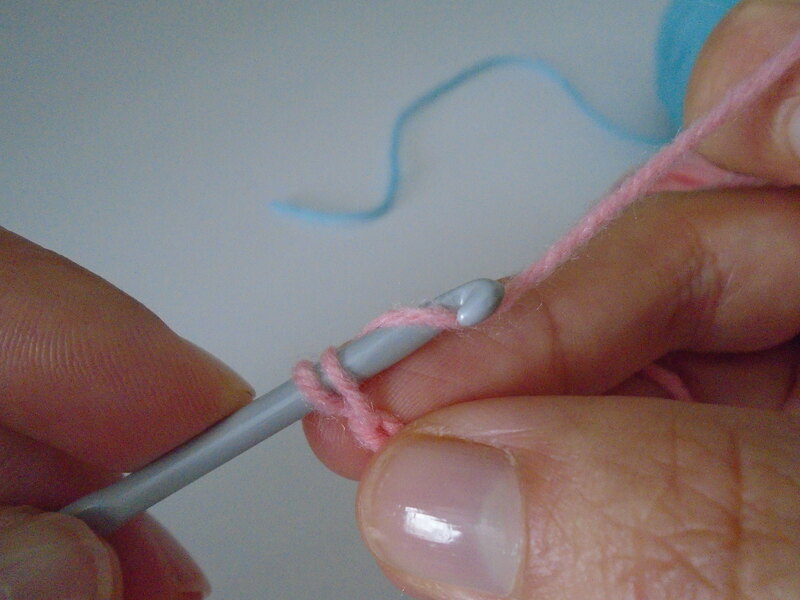 If you are new to crochet, it might take a little while before you can really start to distinguish the parts of your stitches and where to insert your hook, but it will start to get easier. 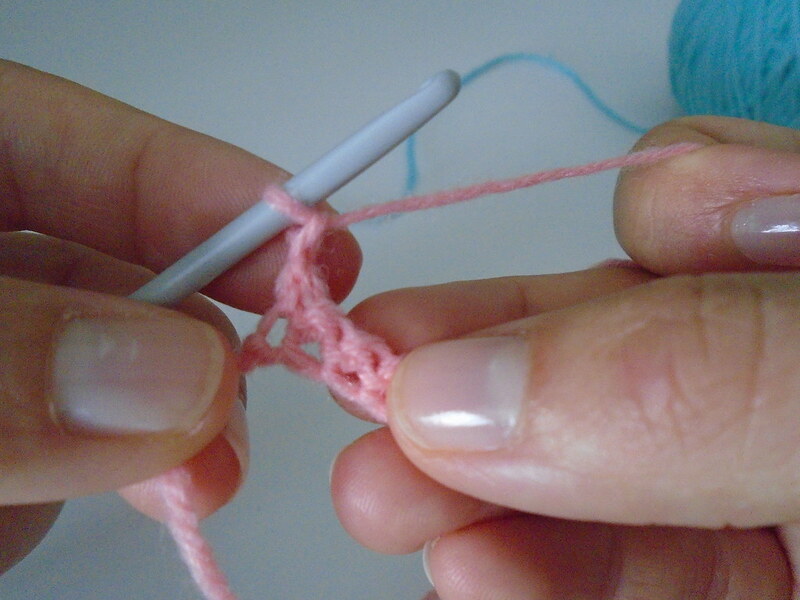 Keep going friends.